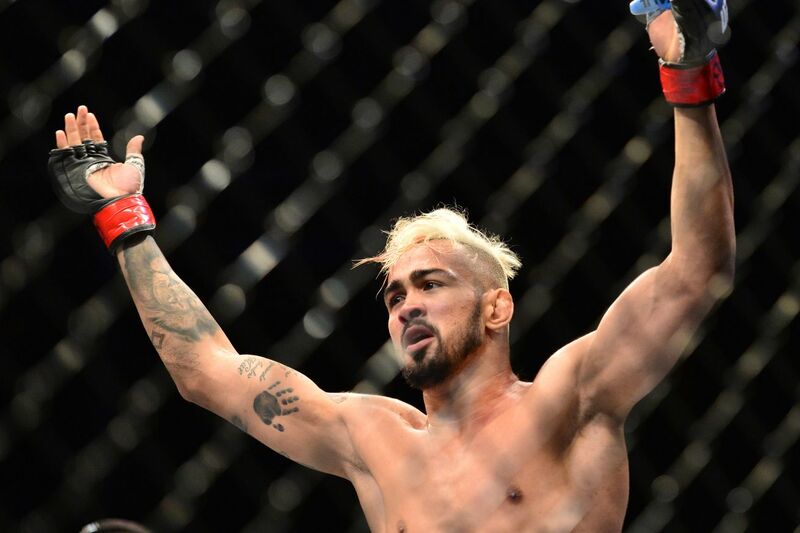 Godofredo Pepey bounced back from a loss to Darren Elkins with another first-round victory at UFC Fight Night 95, and he thanks the fans and critics for the extra push. Pepey lost a decision to Elkins in July, but the fight could have gone completely different if Pepey had listened to his cornermen. Andre Dida, Pepey’s coach at Evolucao Thai, asked the Brazilian veteran not to pull guard against Elkins, but that was all Pepey did during the fight. After getting heat from fans on social media, Pepey came back a different fighter at UFC Fight Night 95 in Brasilia and tapped Mike De La Torre in the first round on Sept. 24. Pepey improved to 5-4 under the UFC banner, scoring his fourth first-round stoppage win in his past five fights. Feeling more confident now, the Brazilian feels he can challenge anyone in the featherweight division. Pepey’s next move is still up in the air, but he hopes to be back in action at UFC 206, scheduled for Dec. 10 at Toronto’s Air Canada Centre. Is Ronda Rousey Mentally Ready for UFC Return?